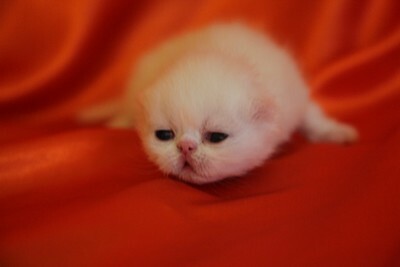 Below are kittens from our own breeding and photos are property of DjaVuPurrs. Do not copy/borrow, without written permission. As you might already know, Exotic Shorthair is identical in type to Persian with the exception of the easy grooming of Short hair instead of Long hair. Exotic Shorthair is considered the "Lazy Man's Persian" to many, for those who love the expression and look of the Persian but prefer not to have all that coat to care for. Because they do not require as much time and grooming as the Long Hair Persian does. 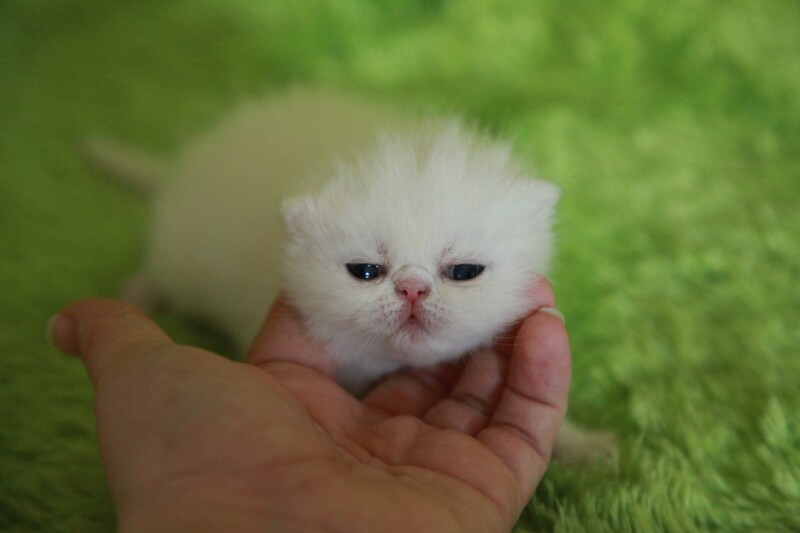 Exotic Shorthair have been around for many years but the some of the Persian breeders have always turned their nose up at them due to the outcross and quality of the outcrosses. 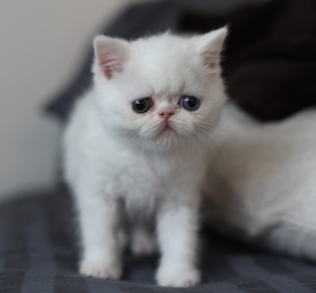 Exotic Shorthair came from the Persian and American Shorthair 20+ years ago, and now CFA accept the breeding of Exotic Shorthair to Persian, although once an Exotic Shorthair is bred to a Persian, the offspring are considered as Exotic Shorthair or Longhair. 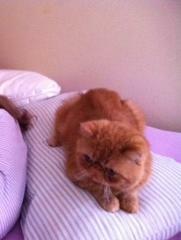 Exotic Shorthair breed - can have both, Shorthair and Longhair - even when breeding two Shorthair together. 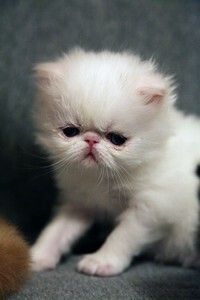 Exotic Shorthair immune system is stronger than Persian from what I have heard/read. 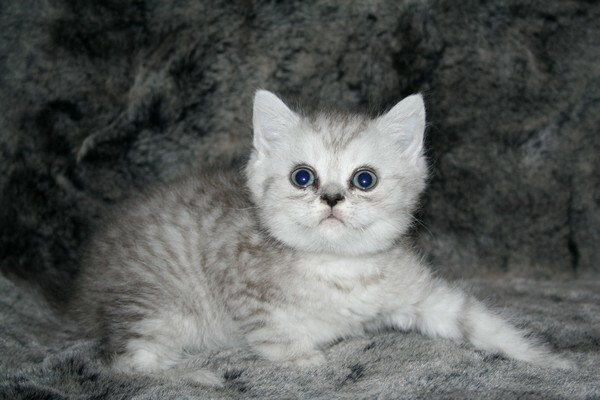 They have the gene of the American Shorthair and are not as in-breed as the Persians, that makes them stronger. 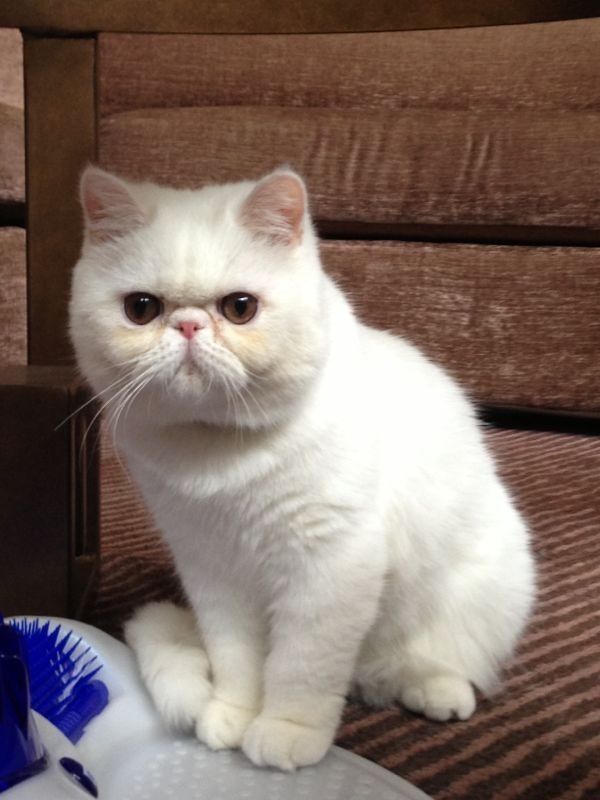 Exotic Shorthair have the same laid back, peaceful, and easy going personality and temperament as the Persian. But from my personal experience with the breed, the Exotic Shorthair cats and ktitens, that have owned us, are extremely affectionate, more quiet and very calm, they quietly follow us around, and more gentle when it comes to a lot of things, especially our children, which is a plus for my family since we have 3 children that are 9 years, 2 years and a 7 month old. 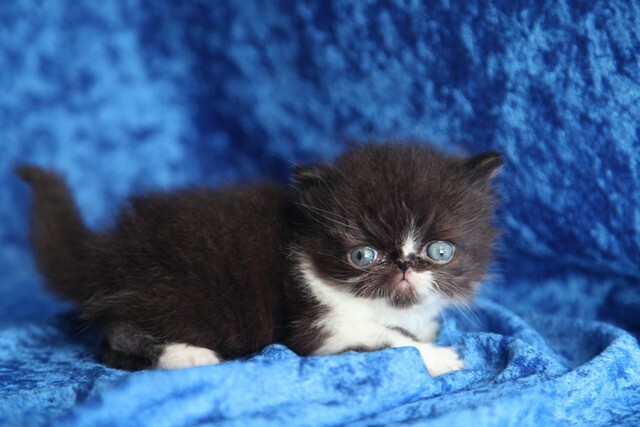 For news on our upcoming litters of Exotic Shorthairs, please take a peek at the "Future Kittens" page. Copyright © 2013 DjaVuPurrs. All Rights Reserved.